“The PERSEPHONE trial’s researchers worked closely with patient advocates. Everyone involved in the study is very excited by these results,” said lead investigator Helena M. Earl, MBBS, PhD, FRCP, Professor of Clinical Cancer Medicine, University of Cambridge, England, who presented the results at ASCO 2018. “We are confident that this will mark the first steps toward a reduction of the duration of trastuzumab in many women with HER2-positive breast cancer,” she added. All women enrolled in the study received concurrent or sequential chemotherapy in addition to trastuzumab. The median follow-up was more than 5 years. Future data analysis will focus on the effect of a shorter versus longer course of treatment on the patient’s quality of life and costs. A 12-month course of trastuzumab is estimated at $76,000. 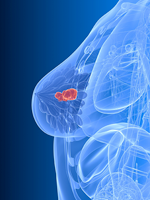 “This study establishes the nonin­feriority of 6 months of trastuzumab. Reducing the course of trastuzumab by half can cut down the percentage of people who had to stop due to cardiotoxicity by 50%, and will reduce cost as well,” said Bruce E. Johnson, MD, FASCO, ASCO President and Chief Clinical Research Officer, Dana-Farber Cancer Institute, Boston, who moderated a press briefing where this study was featured. “We need a more detailed look at the data. We need to be cautious before saying 6 months is enough,” Dr Earl said when asked whether 6 months should be considered a new standard of care. ASCO’s Chief Medical Officer Richard L. Schilsky, MD, FACP, FASCO, FSCT, agreed. “We have no data on overall survival. The survival is relatively short, and we need more mature results. I find the results of PERSEPHONE compelling. Time will tell,” Dr Schilsky said. “I agree,” said Dr Johnson. “At 5-year follow-up, <10% are dead. These patients were effectively treated, and only 12% relapsed. The cardiotoxicity benefit is clear, but we need to be circumspect about changing practice,” he added.